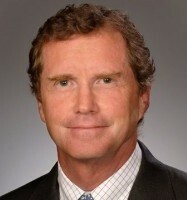 Walt M. Macnee is vice chairman, Mastercard. In this capacity, he is responsible for various senior client and government relationships, engaging these important stakeholders on key issues related to the ever-changing payments industry. In addition, he plays a central role in steering the company’s strategy toward the wider merchant community and other key stakeholders. Previously, Walt was president of International Markets, overseeing all markets customer-related activities outside of the United States. Prior to this, he was president, Global Markets, with responsibility for building all aspects of Mastercard issuance and acceptance business globally. Earlier in his tenure, Walt served as president of the Americas region and president of Mastercard Canada. Walt briefly left Mastercard from 2004 to 2006 when he served as executive vice president, Canadian Imperial Bank of Commerce in Toronto. In that position, he was responsible for overall management of the bank’s credit card business and national collections. Previously, he spent 18 years with Toronto Dominion Bank where, in his last position as senior vice president, he had full product management and client service responsibility for payment cards and personal lending. He has earned several university degrees, including a master's in business administration from York University.